You’ve arrived. The crowd is waiting, lined up at the entrance. You’re on the red carpet. Imagine the fanfare. The foyer of the building is vast, looming large. You feel simultaneously grand and small. What are you being recognized for? Did you arrive by limosine? Is a ticket required? 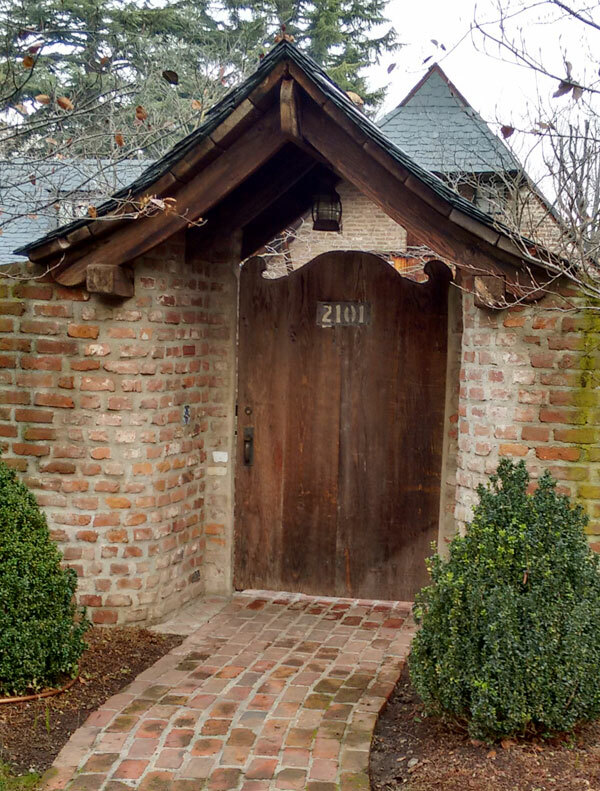 The front door welcomes you to a special place you’ve been questing toward. There are many paths on the journey here. For the VIPs, it’s about status or recognition of achievement. Others are in line bargaining with their time or money to be considered for entry. Some people are outside peering in or looking at those who are being admitted, accepting this as a proxy for their selection. The back door is opposite the front. This door is different. Who enters here? Step up the bare concrete steps with paint-chipped railing. The door is locked, but you have a key. Knock, explain your PURPOSE. Deliver the linens, the lights… Change into a costume, a uniform. Are you preparing or serving? The ebb and flow of people is professional, polite, terse, tense. You could be a star. The crowd is expectant, surprised. Ushered through the corridors among the offices and storage rooms, there is comfort in the privacy of your walk. It is familiar – guides are there to help you. A quiet room awaits. Does the back door open to a safe, secluded yard or terrace? The front door welcomes you as a guest, the rear entrance enables controlled participation. As you explore, you discover another way in. With the throngs of people in the front busy vying for attention and actors at the rear concerned with particular roles, the obscured, unassuming path to the side door goes unnoticed. What happens at the side door? The unexpected and serendipitous. Unscripted Life. The longer you’ve soaked in the bathtub of being, the more you appreciate the side door. Side door experiences have quiet, personal meanings. In one instance, I was mowing lawn on a crisp and sunny afternoon. By not thinking of it as a menial or mundane chore, it became a worthy gift. I was getting exercise, outside (after some previous rainy days) in a pleasant surrounding. I imagined having a different experience if it was just one more lawn to mow. My reward was gratitude for just being in the place, able and aware. Technology is amazing. We all have a responsibility to use it to advance understanding, peace and the protection of our planet. With an insight, I write something to publish it on a web server connected to you via the Internet. Do I create anything of lasting importance? What is my significance? A side door enters here. A person who has been an inspiration to me is Steve Jobs. One of the ideas attributed to Steve is that the world is yours to create. You have the ability to push on a point of it and anticipate a result. We all contribute to collective reality governed by this formula, whether we are conscious of it or not. My expectation was that the note and gift would be summarily discarded with no feedback or impact. However, one evening shortly after the day I delivered the note, I experienced a ripple from my action. I was at home at our dining table serving dinner to our sons when I glanced out the front window. At that fleeting moment, I saw an SUV that was standing along a close curb immediately speed away into the dusk. The driver no doubt saw me look out at that moment as I was clearly illuminated inside. The memory of this side door experience has remained with me. It was a connection enabled by curiosity and the circumstances in my life at that time. I’m not suggesting that Steve was in the SUV, but I was convinced that my push had created a response by someone. When you find connection in the present, you gain an appreciation for the meaning of your life. Awareness is an important obligation of opening any door to feel connected with the experience. Share the side door with family and friends: create an autobiography of important events in YOUR life. How often do you find satisfaction in achieving a personal goal? Your creative solution to fixing something in your home or kindly offering advice to someone based on your experience – side door. 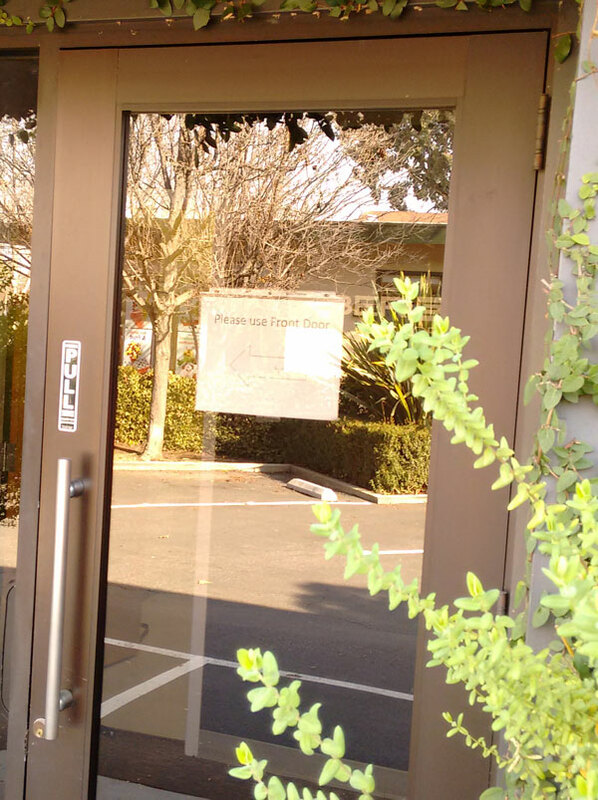 I live in Palo Alto, California as the result of a flow of chances, changes, choices and circumstances. I have the perspective of a rural New York childhood. Self-employment is liberating, but not without challenges. Family is a source of strength and concern. I am the sum of my past and present: relationships, consumption, actions, thoughts, feelings. The context of my life determines which doors I have the choice to open, those I’m even aware exist. The energy and resources that create front door experiences are hidden from the guests. The artifice is constructed to flatter them. In the back, experts are in control pulling levers and turning dials. Insiders feel importance in their purpose. However, most of our lives we are entering or exiting a side door. We explore through personal experiences. We strive to find meaning in our lives. This is a good reason to infuse our thoughts with an appreciation of just being. We all want to reach the shore. We fixate on a point that we’ve heard about, see on a map or from a distance. Much as a sailboat tacks sideways to advance into a prevailing wind, we feel a struggle is required. What’s the point of the journey? What does the wind know? Moving sideways can be likened to possibilities. We are characters in a movie running from one side of the screen to the other, moving from room to room. We have so many choices today. Our sideways motion is inevitable, and relentless. What if we were comfortable spending time in the rooms? Is there something deeper to experience? What you see depends on how you look. Doors I see now have a different meaning. I think of arriving as a guest or as a familiar friend, as laborer or anthropologist. We stand with rich potential in the present thanks to the many, many doors that have been opened in humanity’s history. When all is said and done, these doors are portals within your own reality. I continue to welcome collaboration to share ideas and resources with my friends, family and colleagues. My perspectives are the voice of this blog. Let me know your thoughts on personal growth and connections. Share a side door experience in the comments. Thanks for your consideration. As a consulting professional in the Internet industry, I have helped small- and medium-sized businesses and community organizations effectively design and deploy web services and information. Years of hands-on design and project management experience for this market have inspired me to post my ideas and insights on a public forum -- blog.collab.us. This entry was posted in Insights and Action. Bookmark the permalink. Hi Peter-I really like your writing! A lot of very interesting, provocative insights. Don Poole on Zappy New Year! Steve Ballantyne on Zappy New Year!